February 27th in WordPress Themes by Wordpress Jedi . 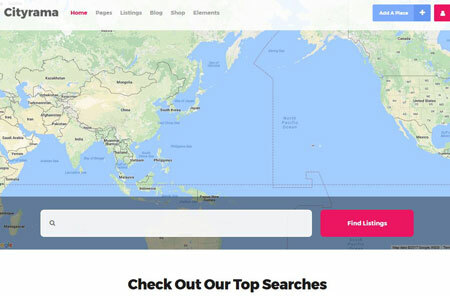 In the past few months, we have covered plenty of cool themes and plugins that let you start your own online directory and local listings website. 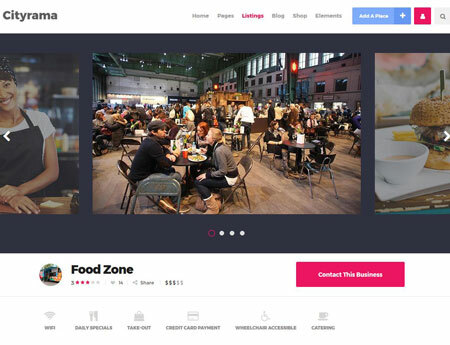 Cityrama is another theme that lets you create an elegant city directory online. It comes integrated with Visual Composer and has a responsive design. Webmasters will be able to accept paid listings to monetize their website. Various shortcodes are available to customize your site faster. Cityrama is compatible with WP Job Manager, WooCommerce, and Paid Listings plugin. It comes bundled with Slider Revolution. Cityrama features customizable maps and a bunch of useful custom widgets. This is a commercial plugin by an Elite Author.